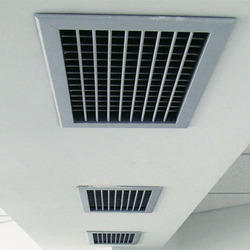 Pioneers in the industry, we offer industrial ventilation system from India. By keeping track of latest market development we are highly engaged in presenting the flawless range of Industrial Ventilation System. The offered system is manufactured using finest quality raw, material and advanced technology. This system is precisely examined by our experts as per the set industrial standards.